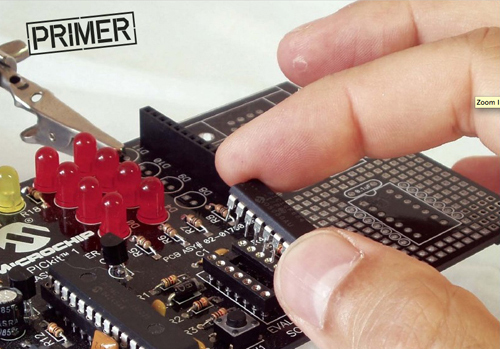 For Volume 4, we started our Primer series of microcontroller programming. This first installation is a basic introduction to programming microcontrollers and the different options and approaches. Using a PIC microcontroller and the least expensive environment, we get the readers up and running.